Log onto YouTube and do a quick search for Suzuki GSX R600 and you’ll be rewarded by movie clip after movie clip of some of the most disturbing, unhinged and thoroughly entertaining (from a distance) riding that the internet can bring you. Second gear wheelies by riders wearing jeans, trainers and tee shirts seem to be a specialty. The bike is known as a bit of a wild machine and in some ways this is where the Gixxer Six get its reputation from. The bike has always appeared to attract a particular type of rider. While you can’t quite put your finger on why, if you found yourself waiting at a red light beside him or her you’d always be sure to let them leave first when the lights go green for fear that if you were in front you might miss something. But it needn’t be so. The bike on test is a 2005 model which, to my mind at least, has dated very well. The classic blue on white bodywork seems appropriate on the smallest of the Gixxer family where on other bikes it would just seem wrong. This machine has, quite simply, got the attitude to carry it off. Around a racetrack this bike is a blast, not nearly as intimidating as its 1000cc big brother and perhaps not as usable as the utterly brilliant 750 which seems to languish between the two, suffering from some kind of middle child syndrome. But the little 600 manages to put out 115 horses, which allows the bike to compare very favourably with much newer machinery in the same class. As any good Gixxer rider knows, there are a couple of prerequisites to owning one of these machines – the pillion seat must be replaced with a seat cowl, and the rear foot pegs have got to be removed. While there is no practical reason to do this, the unspoken laws of motorcycling fashion and style dictate that this is how it must be. Another absolute necessity is an exhaust system or slip on at the very least. The purist will find the Akraprovic on the bike on test was more than acceptable. With these minimum standards met, riders now are ready to take on the daily commute and perhaps more. The rider posture is, of course, race replica aggressive – bent low over the handlebars, with your feet below and slightly back. The ergonomics were designed for quick lap times and not rush hour traffic. 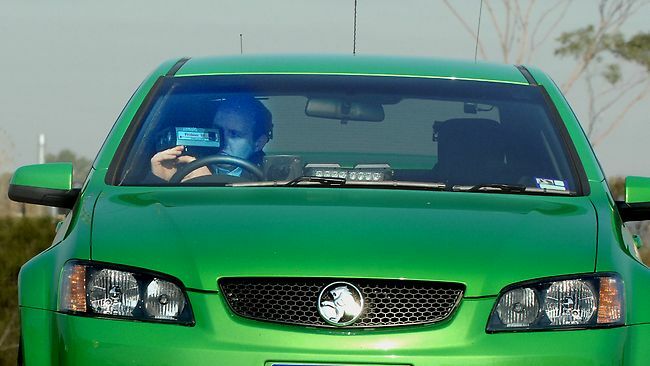 Nevertheless, there are a few concessions to common sense – the mirrors are huge, infinitely adjustable and highly effective, the right one more than useful for counting the number of vehicles between you and the unmarked police car that you really shouldn’t have undertaken. And when slowing down, the left one can be used to keep the rider informed of the progress that the sweaty Lycra-clad self-righteous psychopath on the push bike is making. The fuel injection system is crisp and clean, and the bike fired up first time every time. It revs out quite quickly and the noise from the Akraprovic makes a satisfying bark. After all, there’s little or no point in riding a Gixxer if you’re not going to enjoy their reputation. Out on the country roads on a Sunday morning and far from the city and all its midweek early morning lunacy, I find myself thinking that the bike feels a little underpowered. Riding along, I don’t feel the engine is particularly torquey – you can imagine my surprise when I checked the speedo and found myself somewhat north of what the more respectable members of society would find acceptable. This machine is not at all underpowered, just very subtle, which is surprising considering it’s a Suzuki, and a Gixxer at that. While riding this bike around for the few days that I had it, I was struck by how a mid-range sports bike, of its age, could feel so good. On a new set of tyres it feels as good as any of the later models. And styling wise, while a new Gixxer is certainly quite a bit ahead of this one, it still nods its head to the older bike in a way that indicates that it recognises its heritage. When you consider the price of it against a new one, you get a hell of a bang for your buck. While using this bike on my daily commute and several forays into the country, I couldn’t help but think that this thing’s natural habitat was cranked over, knee slider kissing the tarmac as it snicked form third to fourth on the exit on one of a race track’s fastest corners. Skipping from lane to lane and avoiding jaywalking pedestrians, murderous car drivers and van drivers, is all well and good, but the Gixxer belongs on a race track. If you are lucky enough to own one of these and you are yet to do a track day, get yourself to one post haste. Before you head out on the road or track, download our free and handy pre-ride POWDER checklist so that you can be sure your bike is as ready to go as you are. This entry was posted in articles and tagged gixxer six, susuzi, suzuki GSX R600.